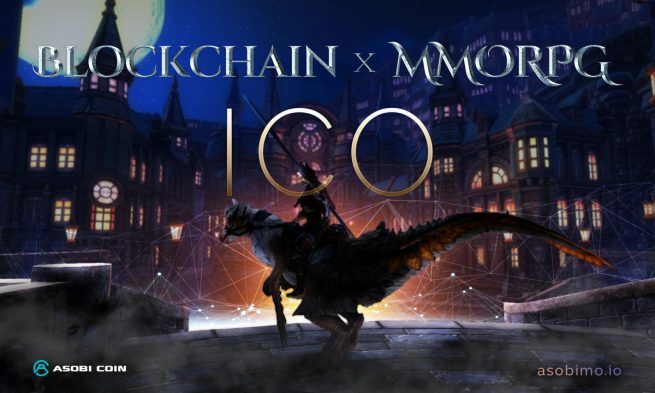 Mobile MMORPG Company ASOBIMOAnnounces ICO ProjectBLOCKCHAIN×MMORPGICO Newsletter Registration-START | ASOBIMO,Inc. Tokyo, Japan – ASOBIMO,Inc. announces the ICO project “ASOBI COIN”, an AAA class MMORPG developing ICO project utilizing blockchain technology, and starts newsletter registration. Since launching the 3DMMORPG “Iruna Senki Online” for Feature Phone (docomo) in 2007, ASOBIMO, Inc. has turned its focus to the smartphone game market in 2011. With titles such as “Avabel Online” and “Toram Online”, they have released numerous mobile 3DMMORPGs as a rare entity among Japanese game makers. At this time they are announcing an MMORPG developing ICO project that utilizes blockchain technology and the start of registration for their newsletter. With their accumulated knowledge of mobile MMORPG development,they are setting out to create a new kind of “asobi” (play) that revolutionizes the online gaming market by making use of blockchain technology in-game. Please look forward to more upcoming information.